Mitakamizi Liberty (Leech Lake Band Ojibwe), a graduating senior at TrekNorth High School, has been named one of more than 4,000 candidates in the 2017 U.S. Presidential Scholars Program. He is the son of Leslie Harper and Adrian Liberty, and is the only Minnesota student from outside the Twin Cities area to be named a candidate. The candidates were selected from nearly 3.5 mil-lion students expected to graduate from U.S. high schools in the year 2017. Scholars are selected on the basis of superior academic and artistic achievements, leadership qualities, strong character and involvement in community and school activities. A distinguished panel of educators will review the submissions and select 800 semifinalists in early April. The Commission on Presidential Scholars, a group of up to 32 eminent citizens appointed by the President, will select the finalists, and the U.S. Department of Education will announce the Scholars in May. Michelle Paquin (Red Lake) has been elected to the Northwest Minnesota Foundation Board of Directors. Paquin is tribal legal advisor for the Red Lake Band of Chippewa Indians and adjunct faculty at Red Lake Nation Tribal College. She is a graduate of the University of Minnesota and William Mitchell College of Law. Paquin was previously employed with Battered Women’s Legal Advocacy Project, Southern Minnesota Regional Legal Services and as Red Lake Nation Chief Tribal Prosecutor. She has served on the Red Lake Political Education Committee since 2002. 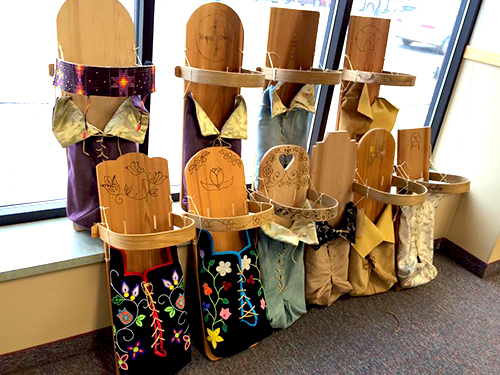 Eleven grants were awarded to Native American individuals in the Twin Cities through Tiwahe Foundation’s American Indian Family Empowerment Program Fund (AIFEP). The grants are made in partnership with the Two Feathers Fund of The Saint Paul Foundation. 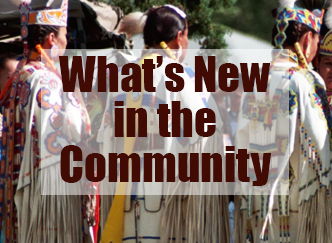 AIFEP strives to reverse the social, educational and economic challenges facing American Indians by investing in human capital, skills and cultural strengths through three priority areas: cultural connections, educational achievement and economic self-sufficiency. Brittany Austin (Standing Rock Sioux) to support her education at Minneapolis Community and Technical College. Brittany is pursuing an Associate’s Degree in Education. Jolene Chestnut (White Earth Ojibwe) to support her education at the University of Minnesota-Duluth. 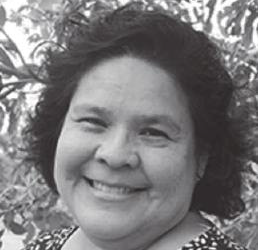 Jolene is in her final year of the Master of Tribal Administration and Governance Program. Akikwe Cornell (Sault Sainte Marie) to support her education at the University of Minnesota. Akikwe is completing a doctoral program in the Department of American Studies. Honor Lamont (Oglala Lakota) to support her education at Minneapolis Community and Technical College. Honor is pursuing an Associate’s Degree in Human Services. Amber Leger (Leech Lake Ojibwe) to support her education at Minneapolis Community and Technical College. Amber is pursuing an Associate’s Degree in Business Management. Anne O’Keefe-Jackson (Lower Sioux) to support her education at Augsburg College. Anne is pursuing a Masters of Business Administration. 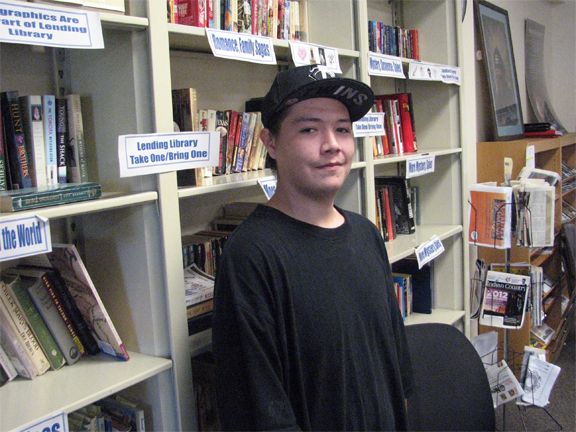 Jason Poitra (Turtle Mountain Ojibwe) to support his education at Dunwoody College of Technology. Jason is pursuing a one year welding certificate. Samora Redding (White Earth Ojibwe) to support her education at Minneapolis Community and Technical College. Samora is pursuing an Associate’s Degree in Human Services. Sasina Samreth (White Earth Ojibwe) to support her education at Minneapolis Community and Technical College. Sasina is pursuing a certificate in Accounting. David Bernie (Yankton Sioux) to bring Indigemojis, an Indigenous Sticker Emoji app, to the Android market. Indigemojis launched for iOS August of 2016 and includes categories such as Women Warriors, Francis Frybread, Indian Love, Pow Wow and Activism. 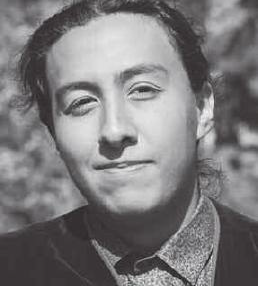 Benjamin Spears (Red Lake Ojibwe) to upgrade business equipment for Spears Tree Care. Benjamin has worked as a Certified Arborist for the Minneapolis Parks and Recreation Board for over a decade and runs his own business providing consultation and diagnosis, trimming, removal and disease control. A low-power FM radio station owned by Pillsbury United Communities (PUC) and operated out of the Waite House Community Center in Minneapolis, will officially launch with online streaming and a mobile app on March 20th. Over-the-air broadcast will begin later this summer on 98.9 FM (KRSM-LP). The radio station hopes to provide a platform to raise up the stories of the com-munity and enable marginalized and erased voices to be present in the media. The station will be a voice for the South Minneapolis community, broadcasting news, music, and community issues in multiple languages. Anyone interested in starting a radio show is encouraged to visit the stations’ website (www.krsmradio.org) to view a calendar of upcoming free trainings and fill out an application. No experience is necessary. With online streaming and a mobile app, the station will launch with over 30 diverse programs covering topics like health and wellness, entrepreneurship, local politics and community organizing, as well as music shows and culturally-specific programming. The station’s schedule will also feature syndicated content like Democracy Now (including a rebroadcast of their popular Headlines segment read in Spanish), and a number of recordings about language, history, and culture recorded by radio stations located on reservations in White Earth and Leech Lake. The Southside Media Project will allow community members to share their stories, report on the news, and discuss issues that are most important to them, while also providing training and internships for people interested in communications, media, and journalism.